Carlotta Parenti, a student of the Masters Degree Programme in Geological Sciences and Technologies of Unimore has recently completed a cooperation programme with an international team to identify and map a feasible landing site of the ExoMars rover in 2020, for a mission organised by the European Space Agency (ESA) and the Russian Space Agency (Roscosmos). The work of the Unimore student is part of a research internship carried out at the London Natural History Museum, within the Erasmus mobility programme. By using high-resolution images, Carlotta Parenti has mapped and analysed over 7000 dunes covering an area of approximately 3 square kilometres, with the purpose of defining the routes through which the rover will be directed after landing. The project included the use of satellite data of the Mars planet for studying the planets geological evolution, and focused on the analysis and dating of craters generated by the impact of meteorites. 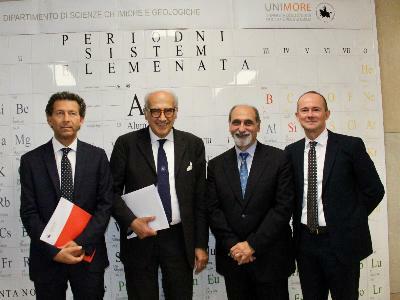 In my capacity of Erasmus Coordinator of the Department of Chemical and Geological Sciences of Unimore, I would like to point out the importance of initiatives that allow students to gain highly qualifying experience, like Mr. Parentis internship, during which an extremely innovative and of great potential theme has been dealt with, a state-of the-art topic at international level, professor Mauro Soldati remarked. The topic of Space exploration was already the focus of an important initiative developed in the middle of October by the Department of Chemical and Geological Sciences to celebrate the 60th Anniversary of the Degree Programme in Geological Sciences; on that occasion, Unimore hosted the astronaut and astrophysicist Umberto Guidoni, who flew twice on NASAs Space Shuttle and was the first European astronaut to board the International Space Station in 2001.